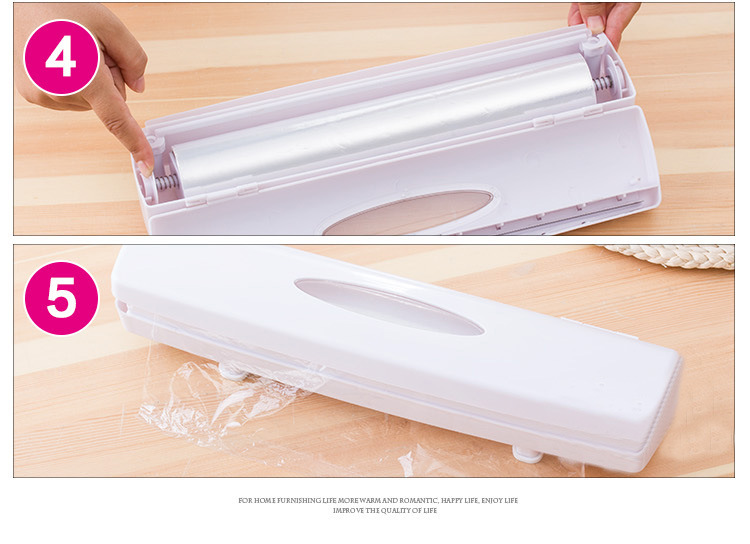 Easy To Use: Works with plastic wrap, Just Pull, Press, Cut and Wrap. 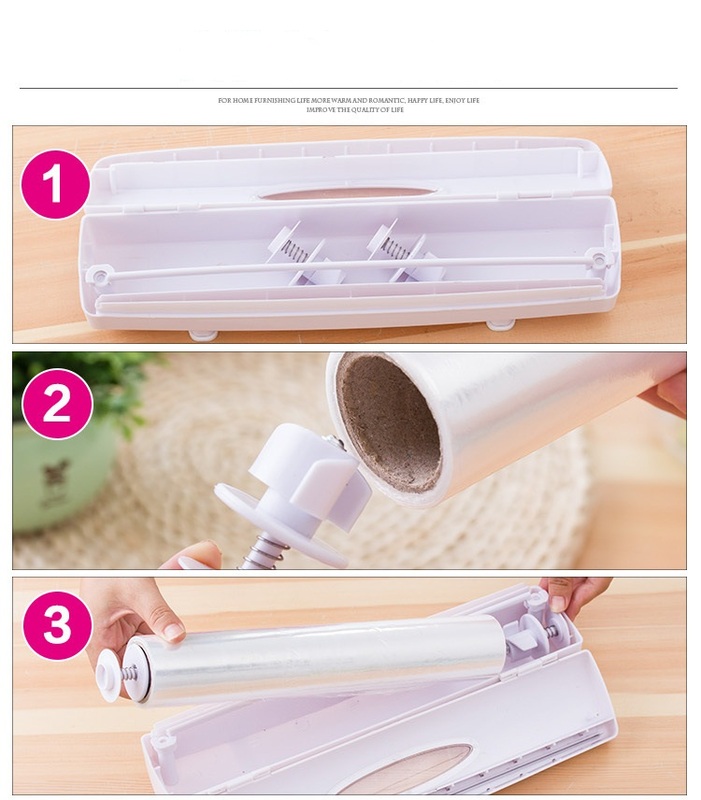 The plastic bag inside is to fix the plastic wrap and the plastic cling wrap go through the bar and box side, and you can cut the plastic wrap more easily. Steady: The feet hold in place on counters, tables etc, keep food fresh. Close lid and cut wrap by pressing firmly on both sides. ONLY suitable for the size of the 10.6-12in*2.35in plastic wrap.